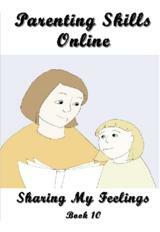 The Parenting Skills Online course is based on the teachings of Parent-Link in the UK. Parent-Link was the result of three years of development work which the late Ivan Sokolov and his wife Jacquie started in 1984. It was based on considerable experience of family life, group work, personal development and both individual and group support. It provided support and education to make the day-to-day ups and downs of family life as easy and rewarding as possible. Parents who came to the first few groups played a part in putting together the programme and as such Parent-Link was created by parents for parents, using what had been found to work in practice rather than what sounded good in theory. Demand for what it offered led to the creation of The Parent Network in April 1986. This national UK charity aimed to make support and education available ultimately not only to all parents who wanted it, but also to other adults working and living with young people. Why an online parenting course? People’s lives have become busier and there seems to be less time and money to do the things that could be important; they are constantly put off ‘till we have more time’ or ‘more money’ but that never seems to happen. Without question one of the most important jobs we ever do in our life is to become a parent. There is no preparation and no manual which arrives with the baby, which tells you ‘how to operate for best results’. Many parents struggle through from one phase of the child’s life to the next, simply doing the best they can with the knowledge they have available, much of which is handed down from their own parents. In many cases, it isn’t enough and help is needed. This is particularly so in the case when your own parents didn’t know ‘how to operate you for best results’. While a course that is attended in person is preferable in terms of the practical exercises which are included, this online course is aimed at parents who really want to improve their parenting skills but genuinely cannot go out in the evenings or weekends for whatever reason to participate on a practical level. The course is based on 12 e-books, each dealing with a different topic. These subjects cover every aspect of parenting and included in the books are practical exercises which you are encouraged to do at home. Actively using the books rather than passively reading them will make all the difference to the relationship between you and your children. For instance, it is really important to practice the exercises in books number 6, 7 and 8 on ‘Listening’, as this is probably one of the biggest areas where some parents fall down; they don’t know how to really listen to their child. A lot of the time this is simply due to so much going on in peoples’ lives. The aim of Parenting Skills Online is to empower parents to produce confident children and subsequently adults with high-self-esteem. So, having read about the course, please DOWNLOAD Book 1 for FREE!!! Read it, make use of the lessons contained therein and if you and your loved ones want to experience more, download the full course. There is a 30-day full money-back guarantee available to anybody who downloads the course and is not fully satisfied with the content.